ACCPTA stands behind this position from the National PTA. Two of our association’s founding principles are to promote the safety and well-being of all children and youth and to advocate for children and families who are most vulnerable. We urge our legislators to immediately stop the zero-tolerance policy that is resulting in harmful separation of undocumented children from their parents and family members. Our association also seeks immediate reunification of families presently separated under current enforcement policy. ALEXANDRIA, Va. (June 20, 2018)–National PTA urges Congress and the administration to immediately stop the zero-tolerance policy that is resulting in harmful separation of undocumented children from their parents and family members. Our association also seeks immediate reunification of families presently separated under current enforcement policy. 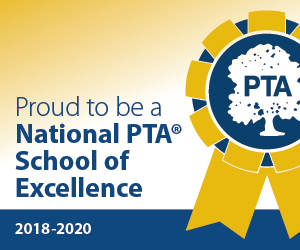 National PTA has long believed that every child residing in the United States—regardless of their immigration status—has the right of access to a high-quality public education, adequate food and shelter, and basic health care services. Two of our association’s founding principles are to promote the safety and well-being of all children and youth and to advocate for children and families who are most vulnerable. The 1997 Flores Settlement Agreement (Flores) lays out the protections and expectations regarding the detention, release and care of all children—both accompanied and unaccompanied undocumented children—arriving in the United States. The separation of families for purposes of immigration enforcement, management or detention is never in the best interest or well-being of children. Children should not be used as a deterrent to enter the United States. If a child is separated from their parent(s) during immigration detention, federal policy should ensure that children are reunited as soon as possible with their parent(s) in accordance with Flores to maintain family unity while they pursue their immigration and protection claims.